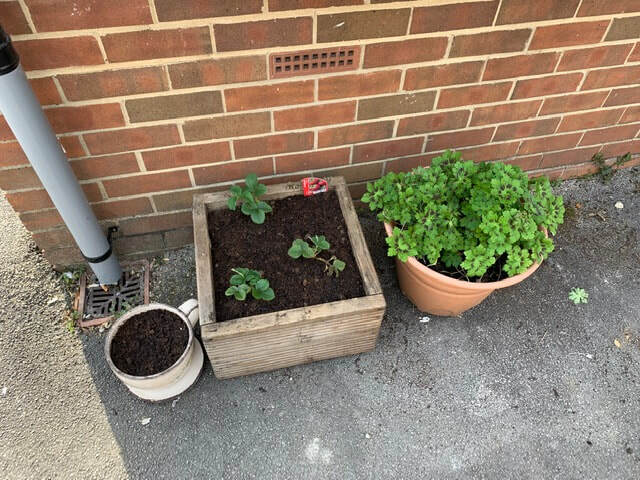 Following a small grant from Ripon Rowels Rotary club we have started a gardening club for our tenants. 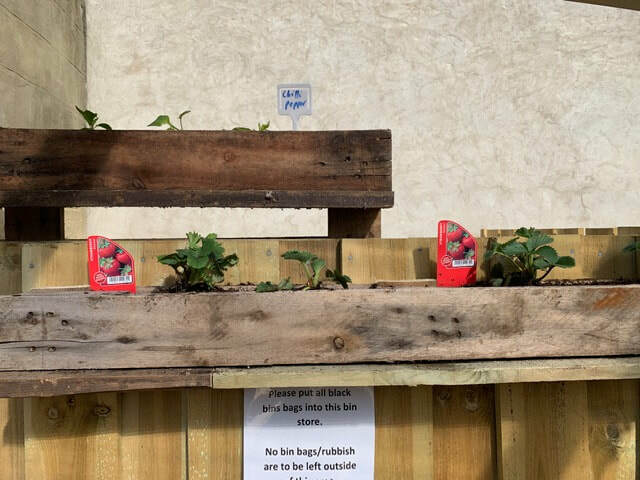 We have been working hard to rejuvenate our outside space and grow some food to cook and eat at our Cooking Social. 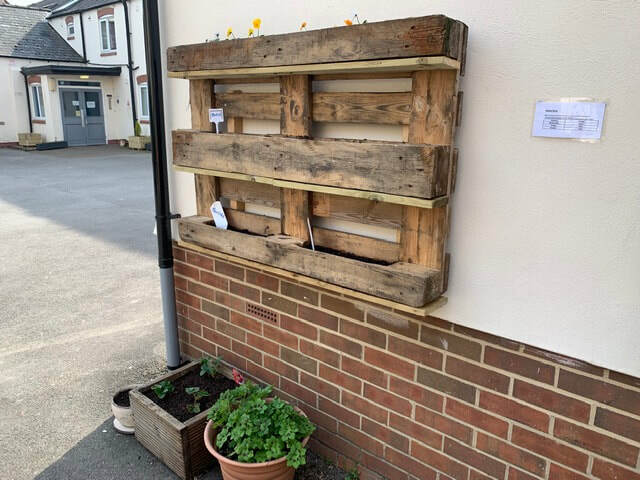 Tenants have used pallets on the walls to plant in and we have built some large planters for growing potatoes. 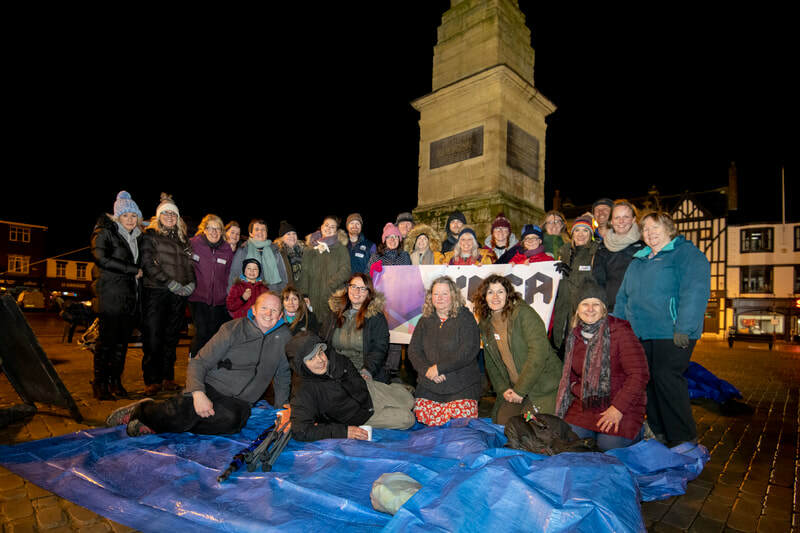 Grand total raised by our Sleep Easy 2019. 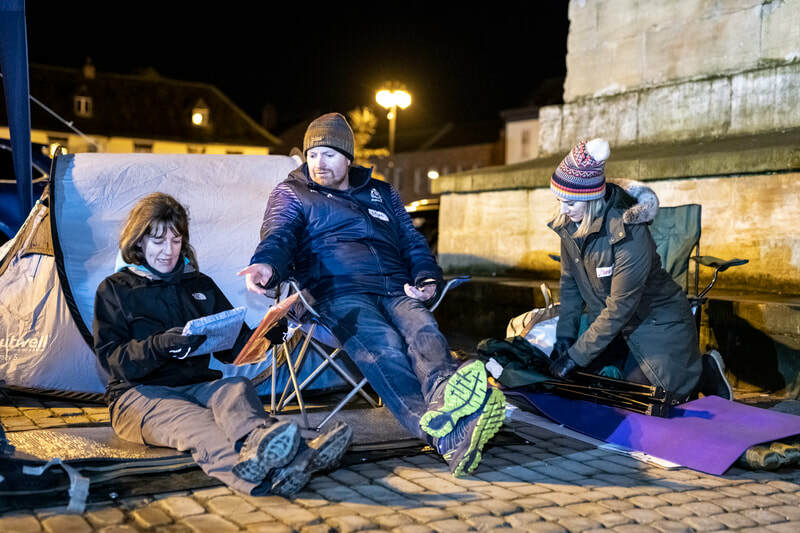 THANK YOU to our fantastic Sleep Easy 2019 participants and support crew. 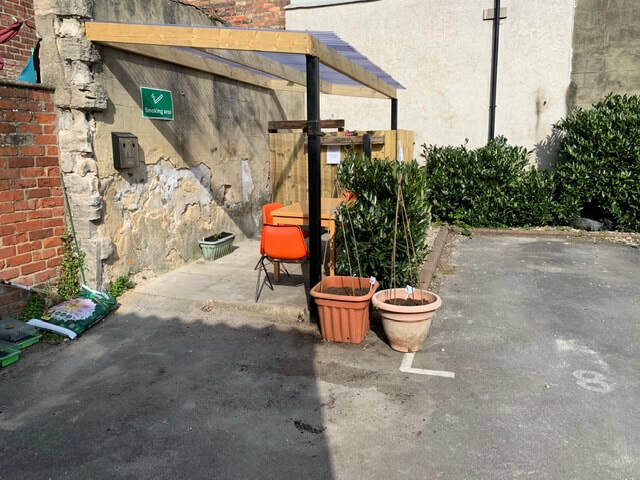 These funds will be spent on updating our tenants rooms providing new shelves and table top freezers. 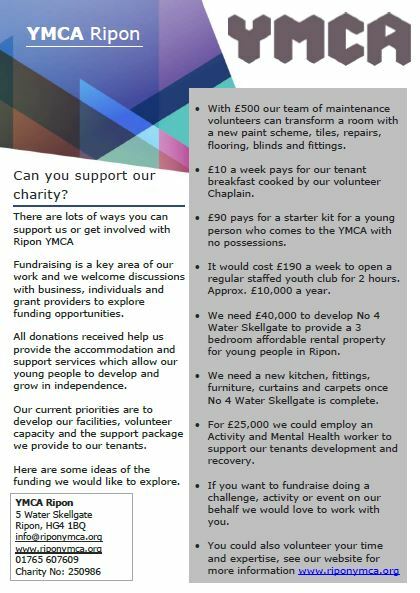 It will also be used by our volunteer maintenance team to buy paint and and materials as they refurbish 5 of our rooms this year. Thank you to everyone who supported the Sleep Easy 2019. 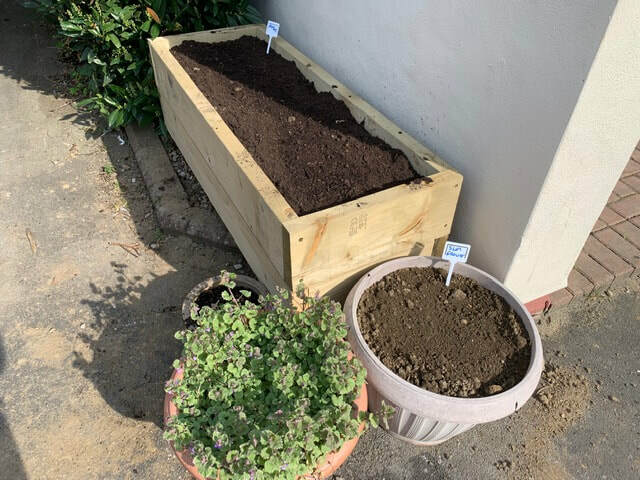 We will be back in 2020 so watch this space! 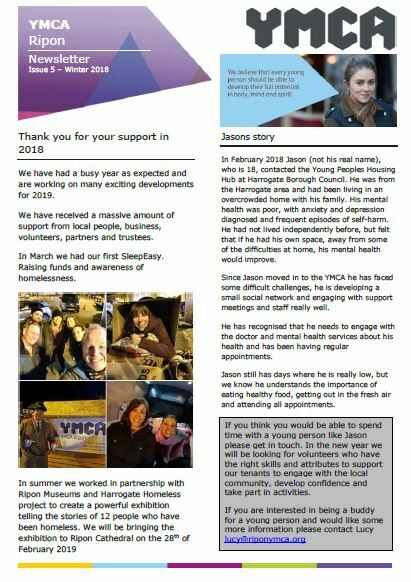 Our Spring Newsletter is available here. 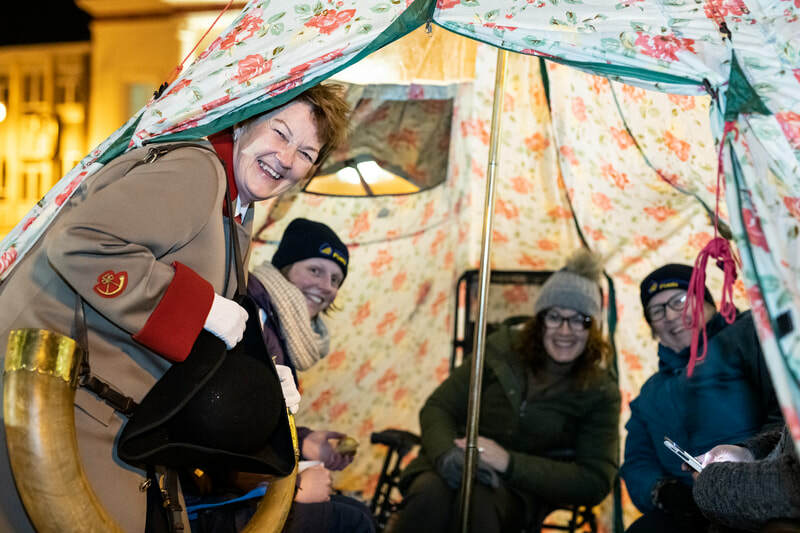 Thank you to all the 2019 Sleep Easy participants. 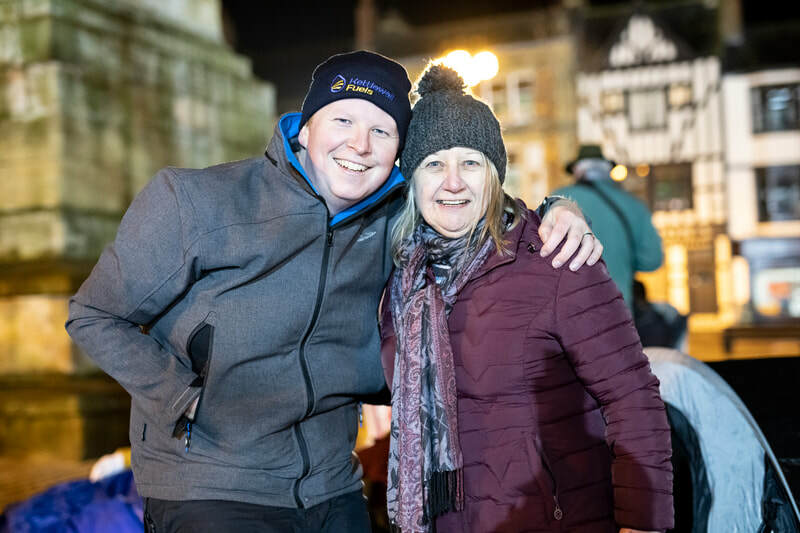 Our initial total is over £5500 raised for Ripon YMCA. 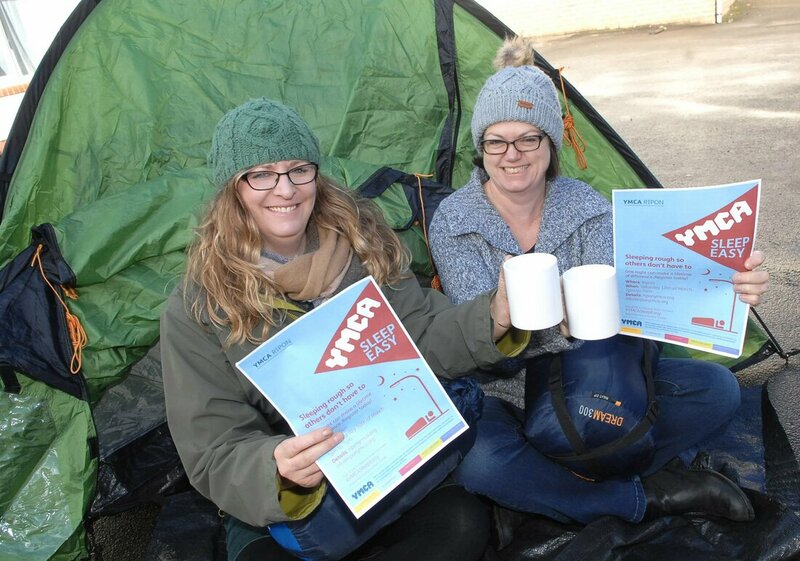 "I thought my eyes were open but there's definitely nothing like direct experience of sleeping out for 1 night. 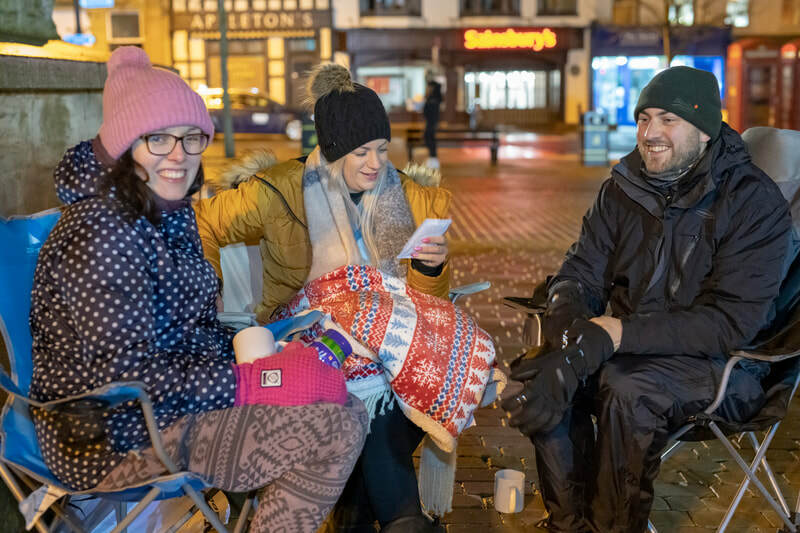 I now feel I can legitimately highlight some of the issues homeless people face with others who perhaps see it as a black and white situation. 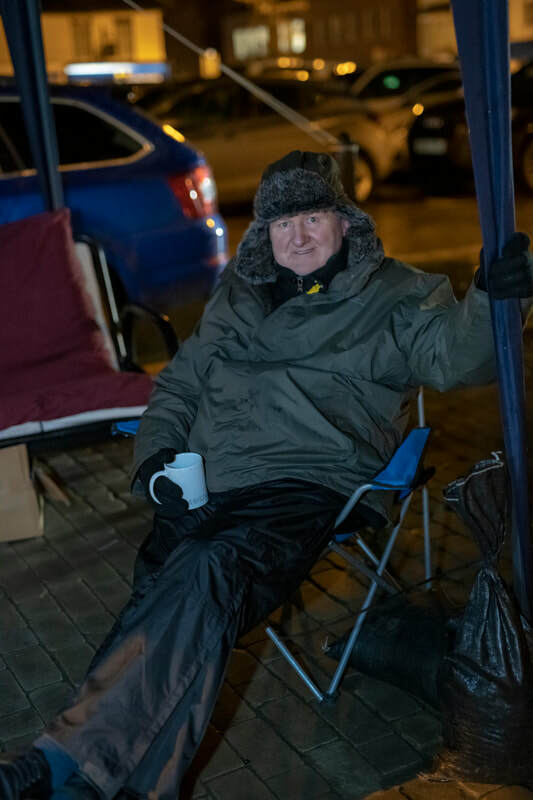 I know I for one wouldn't last a week on the streets and would no doubt turn to whatever I could to numb the bitter cold, isolation, loneliness and fear in whatever form that numbing came in". 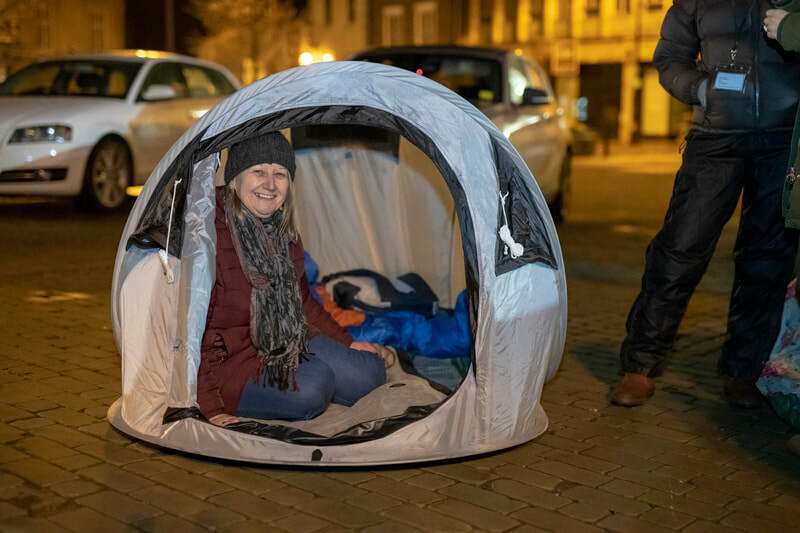 Photos of our 2019 Sleep Easy event were all taken by local photographer Paul Oldham. 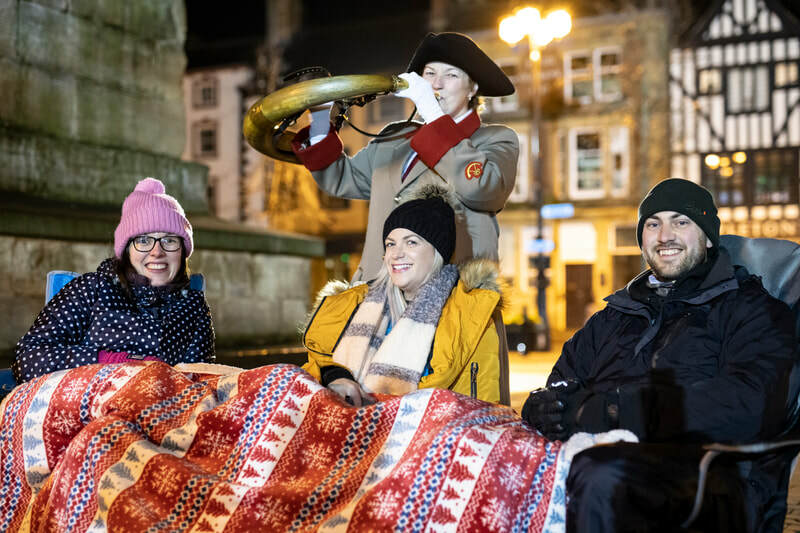 This Friday will see the second YMCA Ripon Sleep Easy event taking place on Ripon Market place 7pm – 7am. 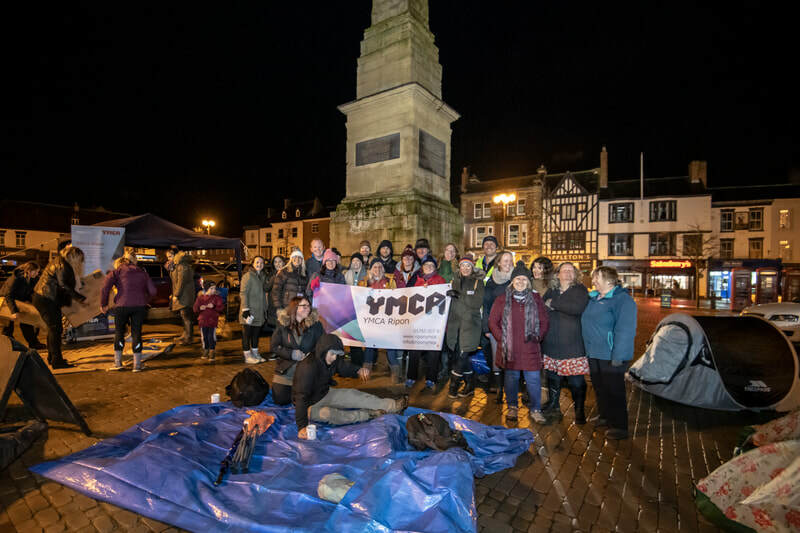 In 2018 we saw 10 volunteers take part in the event raising the vital funds for YMCA Ripon and helping to raise much needed awareness of youth homelessness. 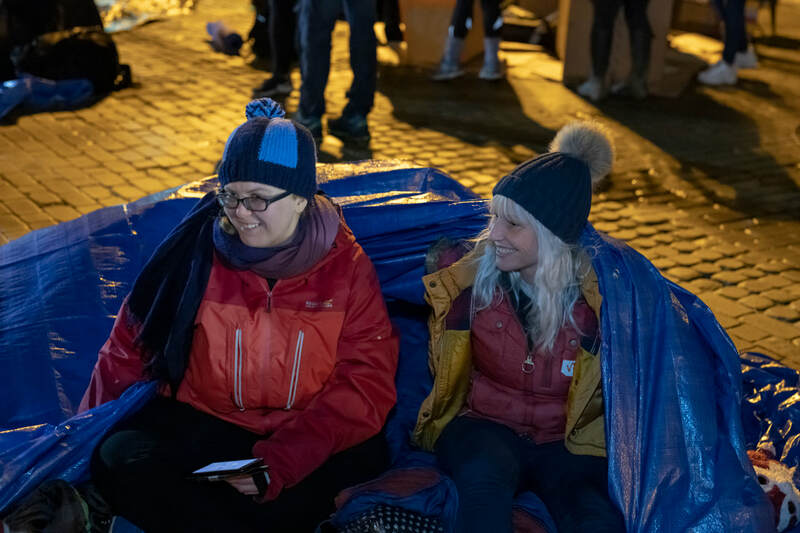 While there is recognition from the public that homelessness is going up, new research from YMCA England and Wales has found that just one in four young people who are homeless (26%) believe the public care about youth homelessness. When thinking about themselves and their personal situation, even fewer young people who are homeless believe the public are concerned. 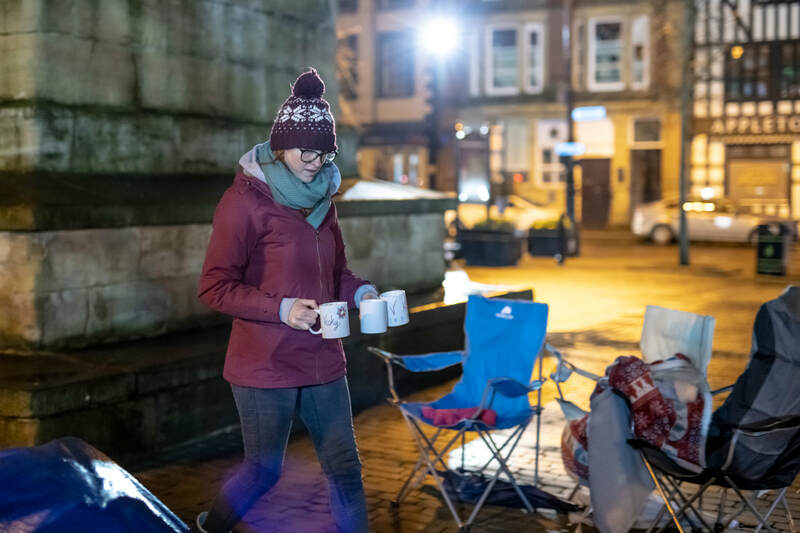 Less than one in five homeless young people (19%) believe the public care about their situation. 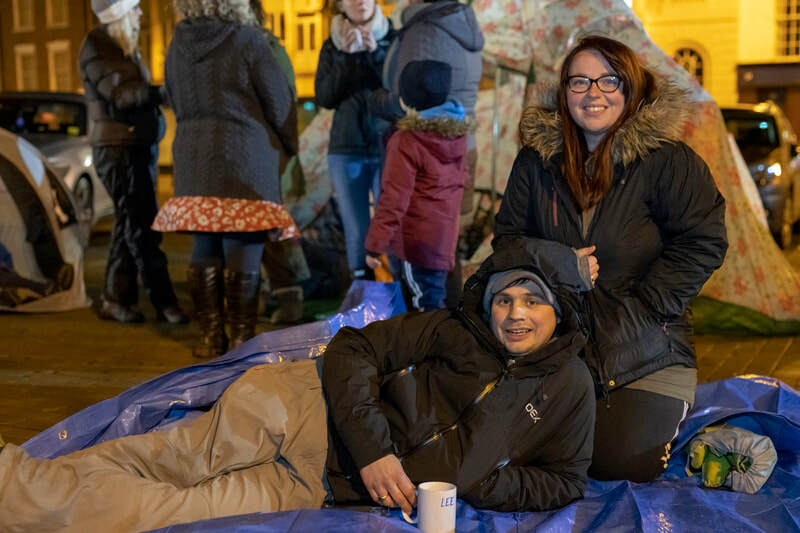 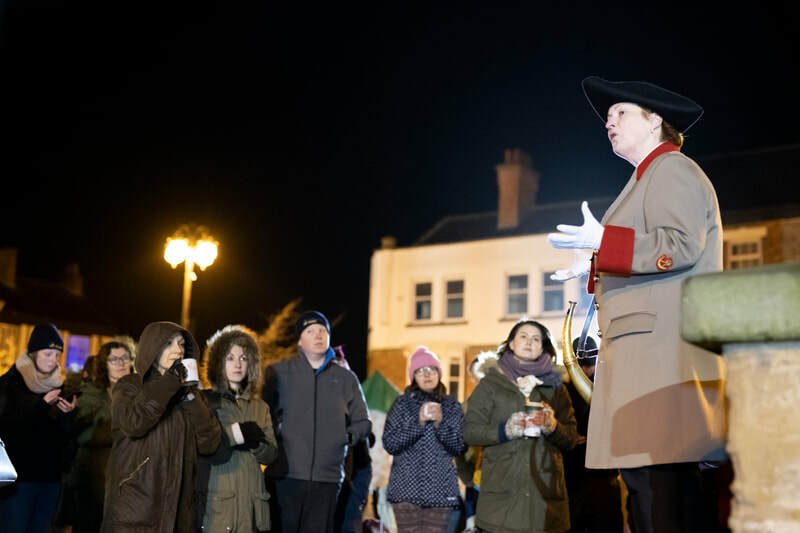 We want YMCA Ripon’s Sleep Easy event to be a way of showing young people who are homeless that the public do care about them and that they are trying to tackle the problem of homelessness by raising vital funds. 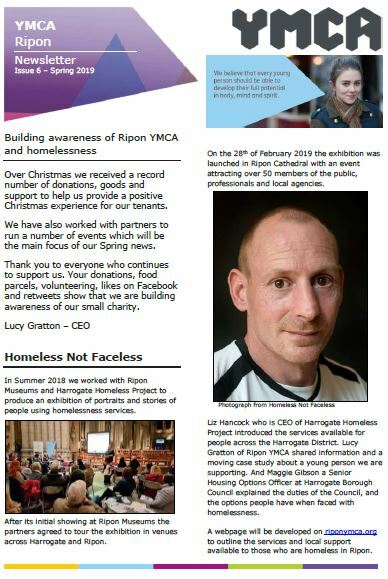 Lucy Gratton, CEO at YMCA Ripon said ‘Our tenants come from a variety of backgrounds and many have had a challenging upbringing. 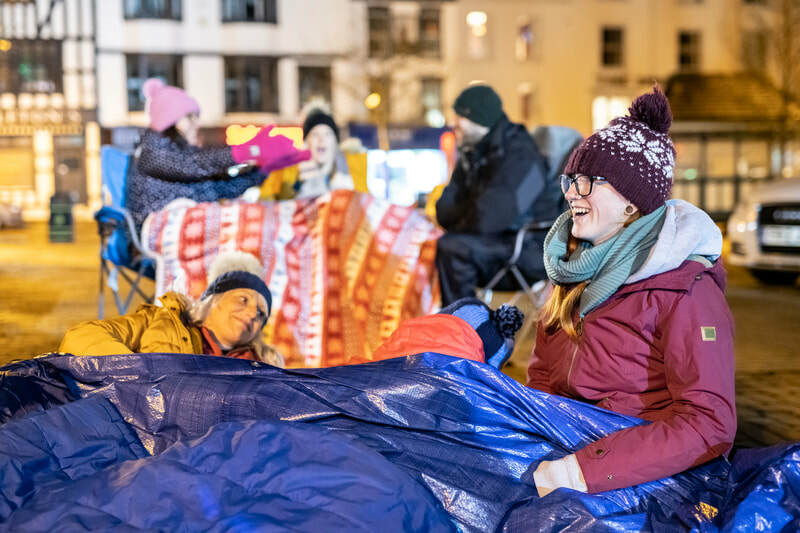 Whilst we don’t see a big number of people sleeping rough on our city streets we do see a number of young people who find themselves sleep on sofas at friends’ houses ‘sofa surfing’, sleeping in tents, cars and garden sheds. 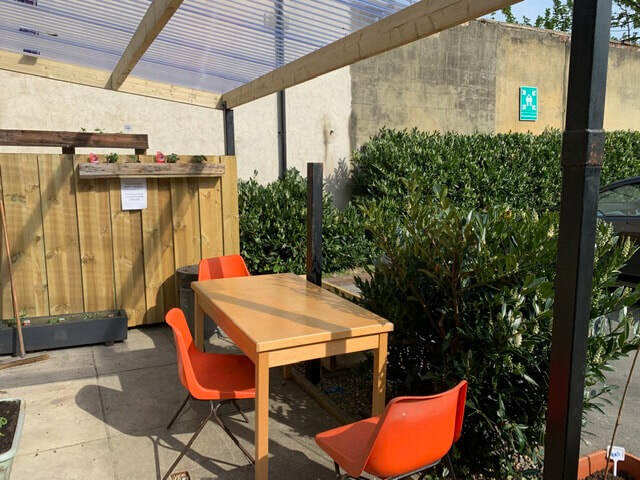 We work with the young people to support them from dependence to independence through 1:1 sessions, group work and activities. 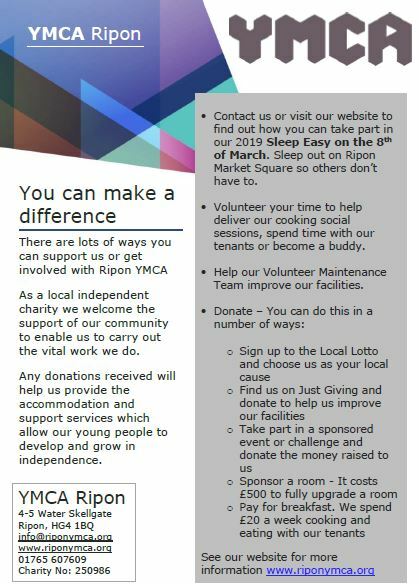 YMCA Ripon is a standalone charity governed by local trustees who aim to provide safe, supported accommodation for people aged 16 – 35yrs. 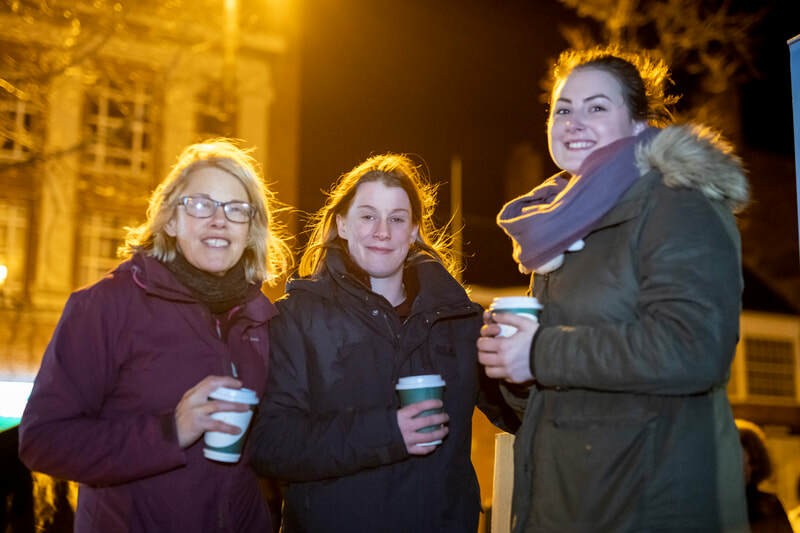 YMCA Ripon offers 18 single occupancy rooms supporting young people holistically means we provide not only a bed but also help a young person gain the training, skills and confidence to go on to lead independent lives. 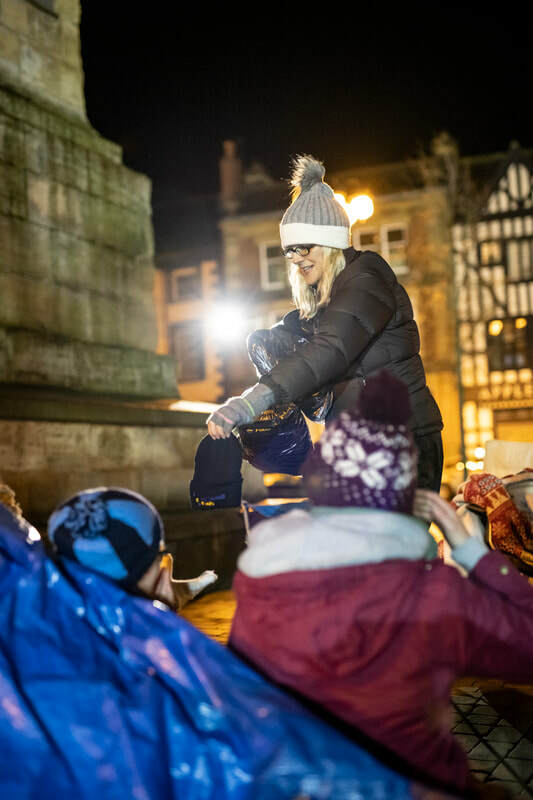 We will be collecting in the entrance of Ripon Morrisons on the 9th of December between 10am and Noon. 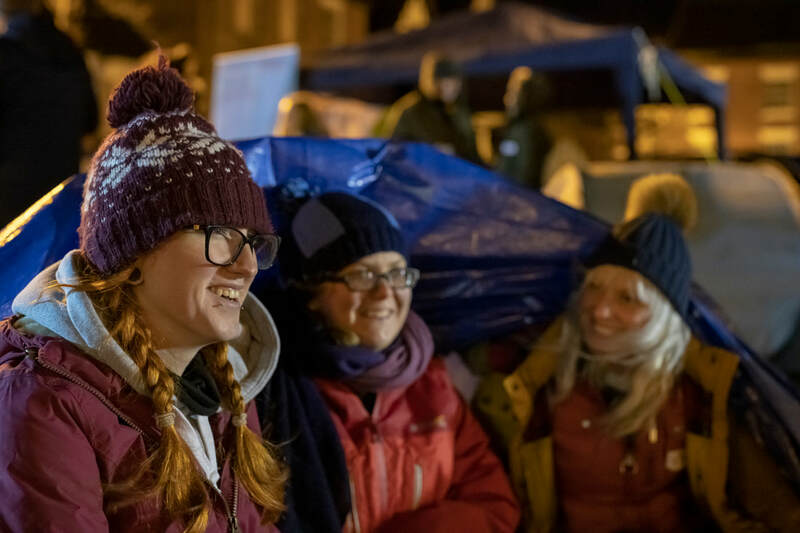 Please come and see us to find out how you can help us.